Two more teenagers from Luton have been charged following a stabbing in High Street North, Dunstable. Police were called just before 5.30pm on Friday, January 4, to reports of a man with stab wounds in the area between Union Street and Winfield Street. Emergency services attended and the man, in his 20s, was taken to hospital but has since been released. A 16-year-old boy and a 17-year-old boy, both from Luton, have been charged with attempted murder. The two teenagers are the third and fourth people to be charged in connection with the incident, and have both been remanded in custody pending a future court date. 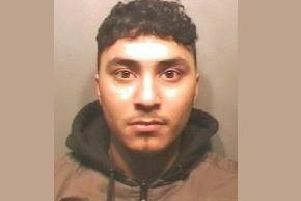 Leonardo Pasha, 18, of Mossdale Court, Luton, and a 17-year-old boy from Luton were already charged with wounding with intent on Sunday 6 January.